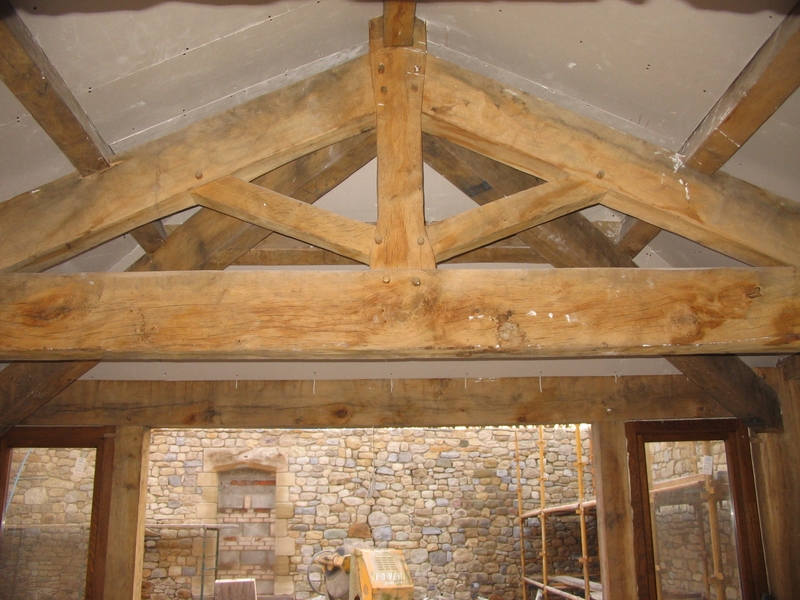 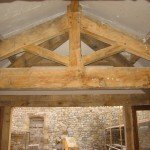 Altham Oak’s extensive expertise allows them to be involved in design, structural calculations and budgeting at every stage of a project, if required. 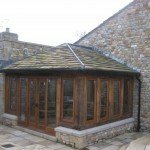 Occasionally though, as with this private residence in the Lancashire Village of Bolton-by-Bowland, they work with clients with the knowledge and experience to take care of these aspects. 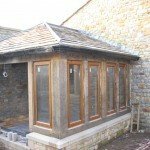 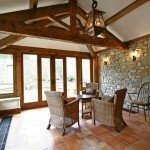 This leaves Altham’s master carpenters to concentrate solely on creating beautiful unique projects in handcrafted oak. 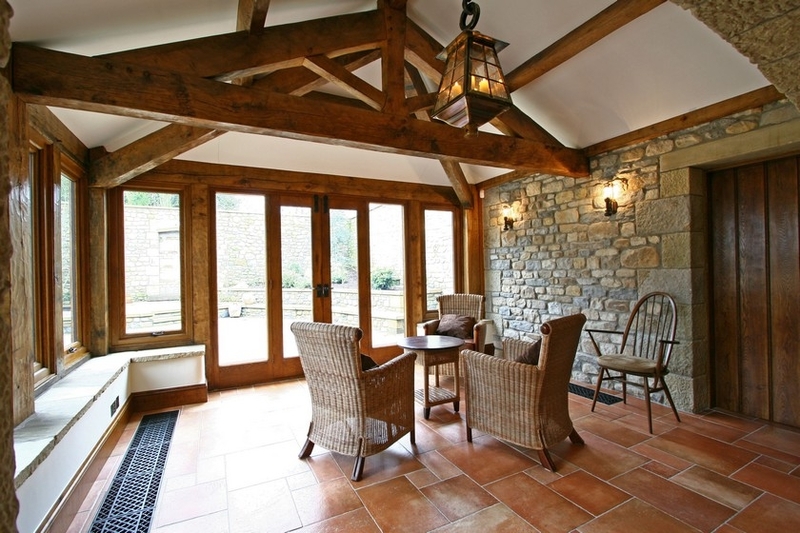 The attractive former farmhouse had a history of connection to local church-owned land and any restoration work carried out had to be sensitively undertaken and in keeping with this tradition. 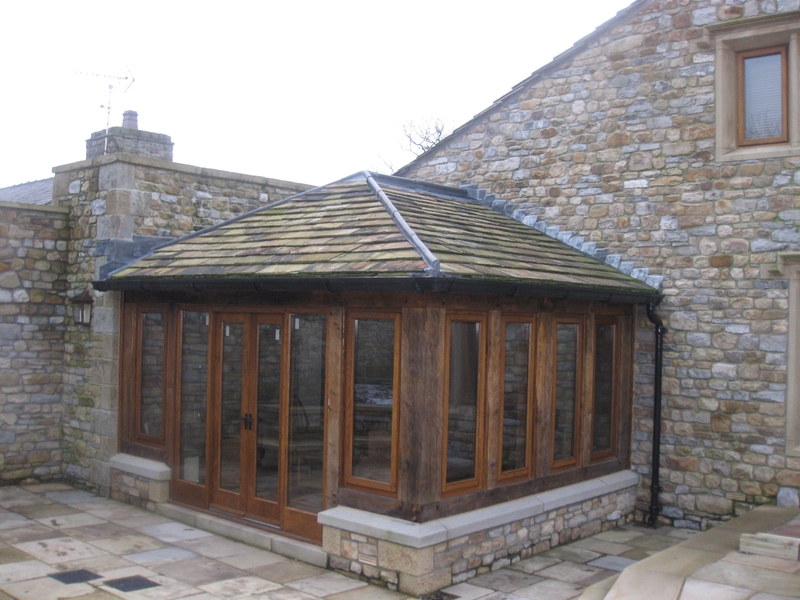 The developer, a substantially experienced restorer of properties, had approached Altham Oak several years previously, to gain a clear idea of their skills and capabilities, even before securing a confirmed purchasing client for the development. 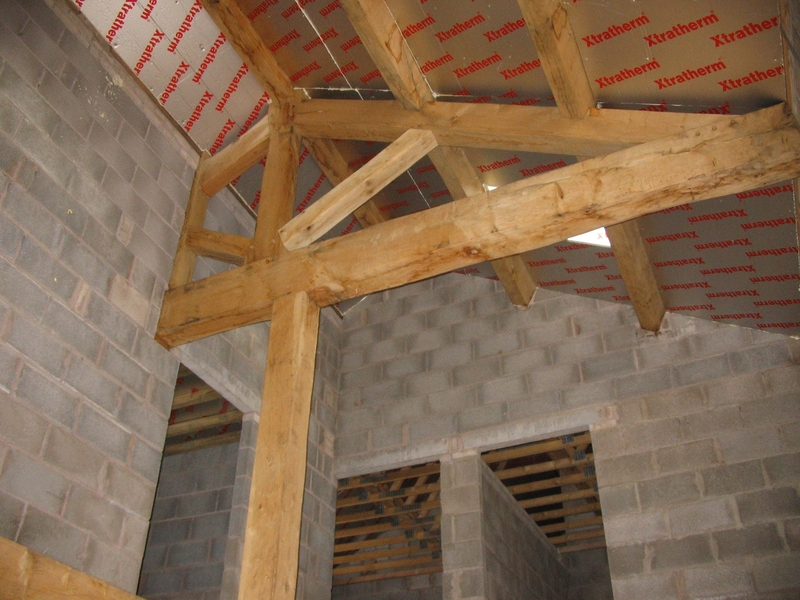 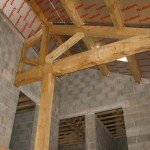 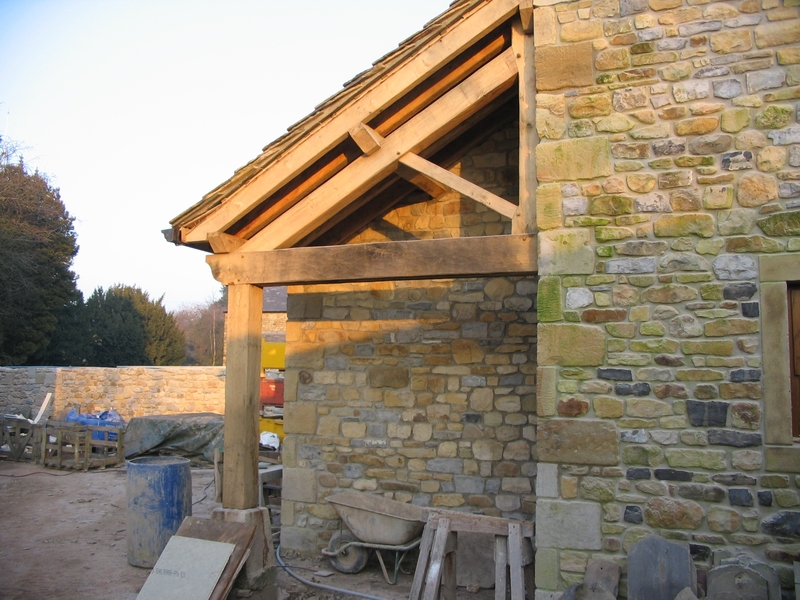 Altham Oak’s work on site included the creation of a two-storey stairway, a roof structure for the hall, an external garden room, two bedroom trusses and a second stairwell gallery, plus oak floor beams and roof purlins throughout and an exterior roof to an open area. 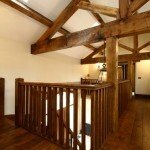 High-quality materials were used throughout, with an emphasis on showcasing the beauty of natural timber without being ostentatious. 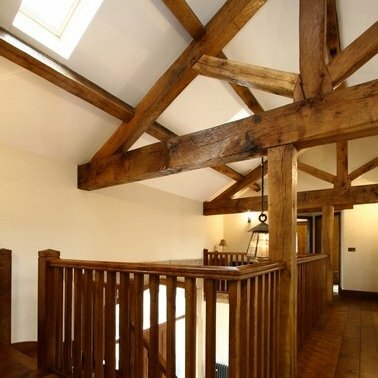 The developer had an in-depth knowledge of style, structure and even the tradition and manner of English oak carpentry and Altham Oak’s professional team introduced several ideas that further enhanced the project’s design. 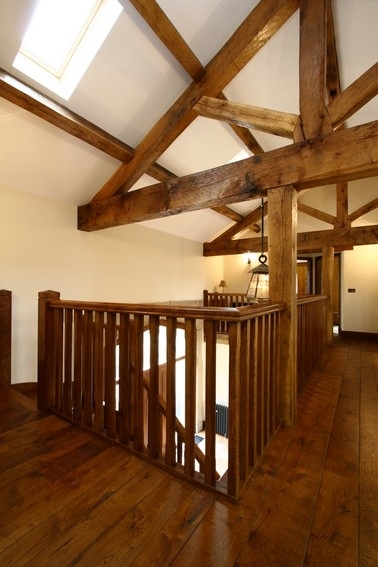 These included the specialist machining of a purlin to obscure a steel beam and the cutting of oak lintels into formal curves to follow a similarly shaped corridor. 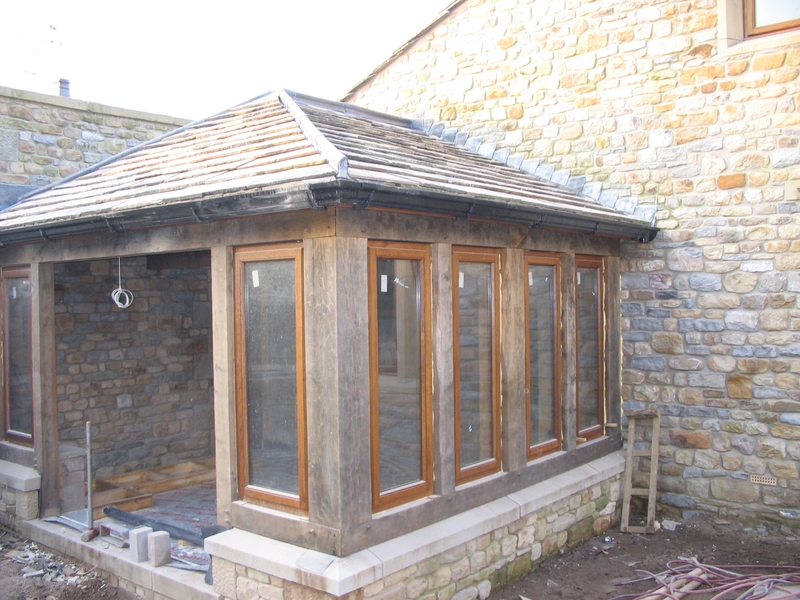 Despite the complex and specialist nature of the restoration work involved, the project was completed on time and to the client’s satisfaction, for around £24,000. 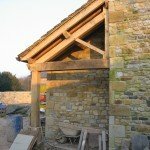 ‘With a development project like this, where we don’t actually have any interaction with the final owner, we need to ensure that what we do reflects the passion for our craft and the results form part of a living space that the occupants can love.